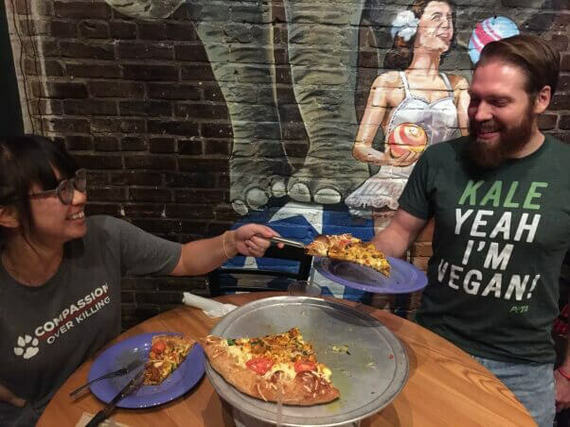 There are 37 chains -- with more than 1,000 total locations in the U.S. and Canada -- that offer vegan-friendly pizzas, complete with savory, protein-rich "meats" and melty, stretchy "cheeses." Just a decade ago, only one pizza chain in the U.S. offered vegan cheese for its pizzas. 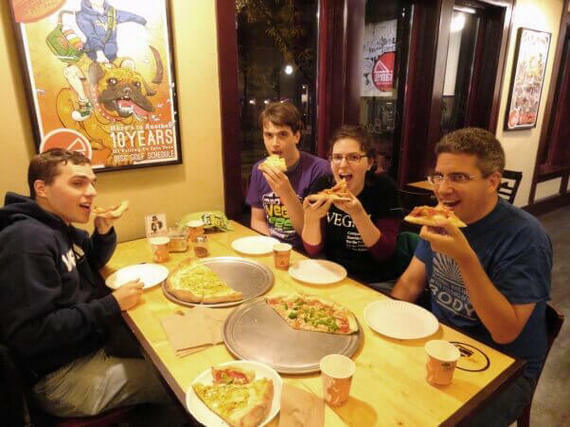 But PETA has been working with businesses to expand their meat- and dairy-free options, and now, there are 37 chains--with more than 1,000 total locations in the U.S. and Canada--that offer vegan-friendly pizzas, complete with savory, protein-rich "meats" and melty, stretchy "cheeses." Mellow Mushroom is the largest vegan-friendly pizza chain in the U.S., with 150 locations that offer vegan Daiya cheese, tofu, tempeh, and a wide variety of fresh veggies. 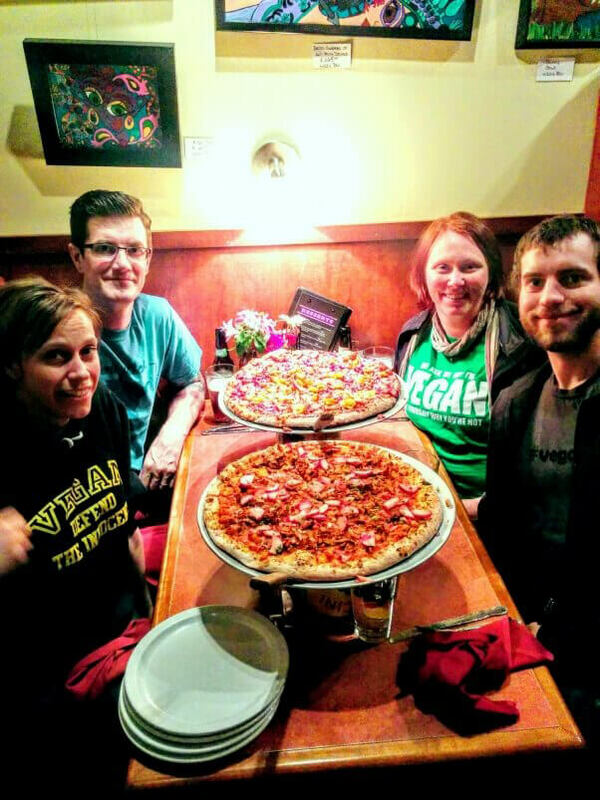 Pizza Lucé is based in Minnesota, with eight locations and an animal-friendly history that goes all the way back to 1995, thanks to vegan employees at the very first store. It offers mock duck, tofu, and house-made vegan cheese crafted from cashews and tofu. Pieology, which has 67 locations, recently worked with PETA to add vegan Daiya cheese to its restaurants, more of which are on the way--it was recently listed as one of the fastest-growing chains in America. Ian's Pizza, based in Madison, Wisconsin, boasts four locations with the widest selection of vegan sauces in the country--including not only marinara and pesto but also barbeque, ranch dressing, and homemade creme--proving that vegan pizza can be found even in the biggest dairy-producing state in the U.S.
America's Incredible Pizza Company, which has 72 locations, is more than a pizza parlor--it's a family-friendly arcade that recently worked with PETA to add Daiya vegan cheese to its menu. 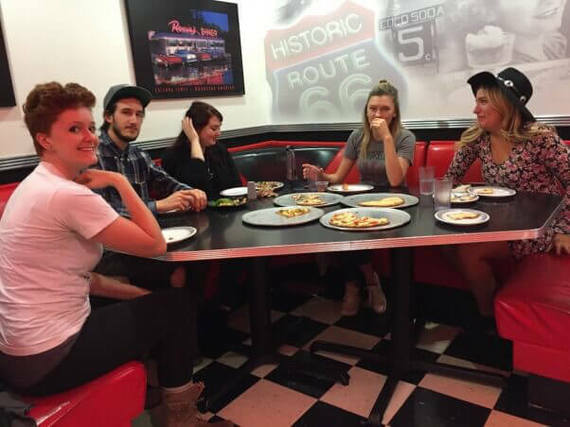 And the vegan-friendly chains don't stop there--others include zpizza, MOD Pizza, πzza, Canada's Panago Pizza, and many more. Even LeBron James recently ended his relationship with McDonald's and invested in Blaze Pizza instead, which has 74 locations and offers vegan cheese on its pizzas. 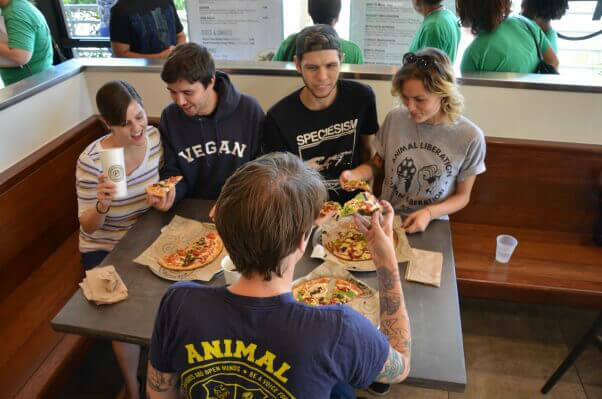 PETA's motto reads, in part, that "animals are not ours to eat," and we're still working to help restaurants meet the growing demand for healthy, humane vegan pizzas--so we're confident that the number of vegan-friendly chains will continue to grow. Going vegan has never been easier. PETA's website has all the information you need to adopt a healthy and humane vegan diet. Request a vegan starter kit to get started today!